Vice President of the New Democratic Party, St. Clair Leacock said that if the two election petitions on which the court will rule on Thursday were a fishing expedition, the party caught a whale. 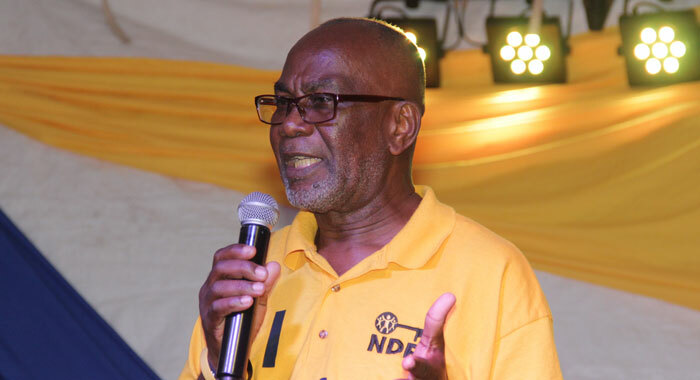 He made the point at the NDP’s rally in Georgetown on Saturday in a speech in which he said that justice in St. Vincent and the Grenadines has gone on vacation. Acting High Court judge Stanley John will, on Thursday, rule on the cases, which were heard three years after they were filed. The cases had a long history in court, having been dismissed by Justice Brian Cottle, who ruled that they were not properly before the court. Justice Cottle had also denied an application by the petitioners to inspect the ballot boxes, describing the application as a fishing expedition. The Court of Appeal, however, reinstated the petitions, saying that Justice Cottle showed apparent bias in his decision to dismiss them. “… justice clearly has gone on vacation. Because if we are where we are today, and on the 21st [of March], we would have a decision, one way or the other, as to the outcome of this court, and two, three years ago, a man said we were on a fishing expedition, well, we catch a whale? Leacock also spoke about the manner in which the Speaker of the House of Assembly, Jomo Thomas, treated with the motion of no confidence in the government that opposition lawmakers filed in February 2018. Thomas allowed the government to amend the motion, to transform it into a motion of confidence, which government lawmakers later debated and passed in the absence of opposition members, who walked out in protest. Leacock said that when parliament meets, parliamentarians are supposed to stand in respect when the speaker enters the chamber. “I sit down. And when they sit, I stand up and I say, Mr. Speaker, I stand because I am not going to rest until there is an admission and there is a reversal that you presided on the worst discourse of democracy in this country when you did not allow a vote of no confidence to take place,” Leacock said. 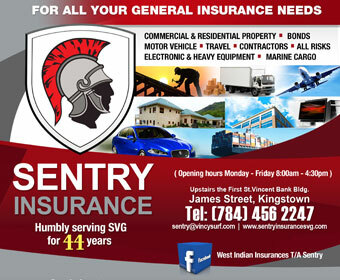 “And I am very serious about it because I have seen all kinds of things go wrong in St. Vincent. I have seen fire burn down the police barracks; I’ve seen fires in the prison. I have seen people buried in latrines, every indiscretion has happened in this country but I have never witnessed anything worse that in the parliament, we could allow ourselves to be the only country in the world, in the Commonwealth in which you can’t have a vote of no confidence. “You all must ponder on it you know. It’s extremely serious. When a prime minister can have eight, nine, ten decent Vincentians take a dose of dumb, or can’t recall, or better yet, ‘dotishism’ to sit down and allow him to say you can’t have a vote of no confidence, we have lost our way and to the extent that the we have lost our democracy and have moved full pace to a dictatorship, I have taken a stand and I will go to my grave unless that is corrected and it must be corrected,” he told the rally and media audiences. Leacock speaks true. The speaker should really be ashamed of himself for that moment of incompetence or disrespect if it was done on purpose.